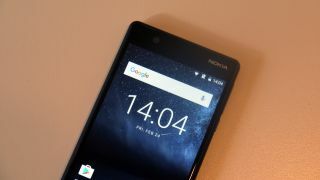 As per a new report coming from a Scandinavian retailer, Nokia’s next flagship will break cover by July 31. The retailer also shed some light on the pricing of the handset, suggesting that the phone will cater to the high-end smartphone segment. The handset will be priced at €589 apparently, which roughly translates to Rs 43,400. Going by this, one can say that the Nokia 8 will be an exciting addition to the high-end smartphone segment and will compete primarily with the Android offerings. The handset will be produced by HMD Global, much like all the other Nokia products that have been launched over the past year or so. A separate report has debunked claims that the new flagship will be known as the Nokia 9. The handset will reportedly come with the model number T-1004. Rumors have pegged that the phone will sport a 5.3-inch Quad HD (2560x1440) display, the octa-core Snapdragon 835 processor, 13MP dual rear cameras, 4/8GB of RAM, and 64GB of storage. The phone will reportedly be available in Blue, Steel, Gold/Blue and Gold/Copper color variants at launch. It’s important to realize that the handset might take some time to make its way to India given that it’s likely to be unveiled in Europe and China first. Nokia’s mid-ranged handset, the Nokia 6 is yet to reach Indian markets with Amazon currently taking pre-registrations for the device. The handset is priced at Rs 14,999 in the country with the official sale expected on August 23.